Buckwheat may be one of the healthiest foods you’re not eating. Along with having numerous health benefits, it is tasty and easy to prepare. Despite its recent rise to nutrition fame, buckwheat is actually an ancient grain with a long history. Today, buckwheat is a favourite among plant-based and gluten-free eaters alike since it provides a high source of amino acids, vitamins, minerals and antioxidants – all with relatively few calories and practically no fat. 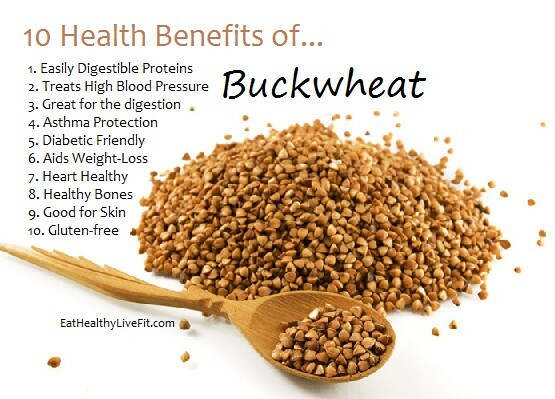 A major benefit of buckwheat compared to other grains is that it has a unique amino acid composition that gives it special biological activities. These include cholesterol-lowering effects, anti-hypertension effects and improving digestion by reliving constipation. Buckwheat is now available at Lucky Bean school shop.